So much more than just a traditional sports tourer, the Sprint GT SE is powered by our proven, capable and punchy 1050cc triple, comes with sleek, attractive and original styling and offers sports bike performance with the comfort of a touring bike. It really is a do-anything motorcycle, so you're as comfortable slipping through snarled up city traffic as you are crossing continents. 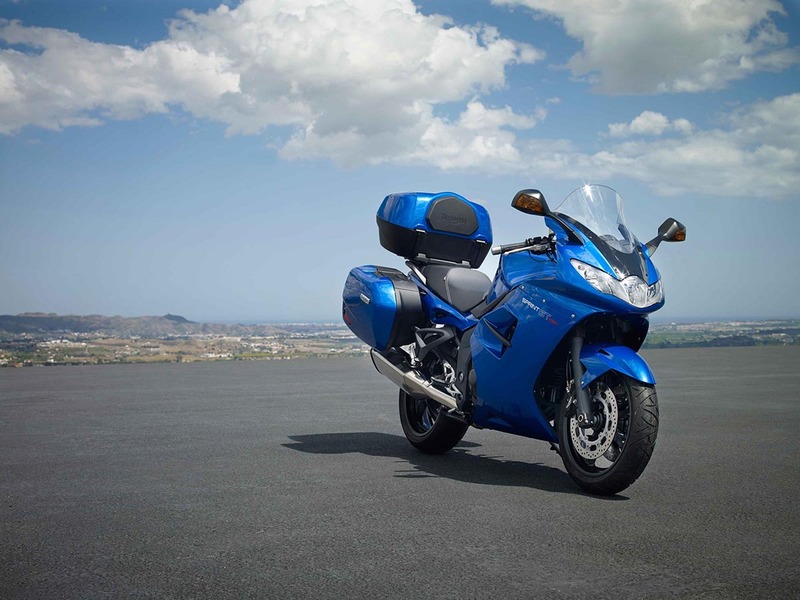 The Sprint GT SE is also outstanding value for money, and not just because it's a one-litre bike at a middleweight price, but because of the amount of equipment we put on it, including the capacious, purpose-built three box pannier system you get standard and the comprehensive onboard computer. 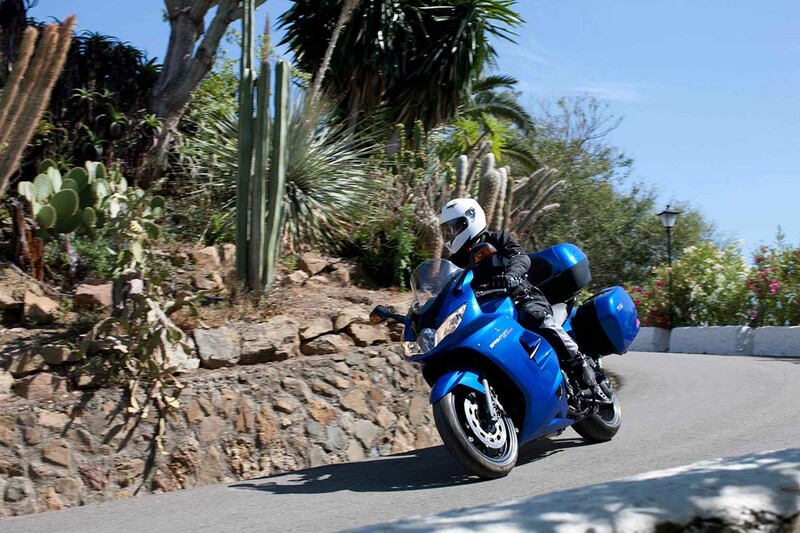 Heated Grips, Touring Screen and Gel Seat allow you to tour in comfort - whatever the weather. Put it all together, the Sprint GT SE is all the motorcycle you'll ever need. The Triumph Sprint GT SE's 1050cc three-cylinder engine is a naturally smooth, refined and balanced motor. Pumping out a potent 130PS peak power and peak torque of 108Nm at just 6300 rpm, spread over a linear power curve. This means instant throttle response and copious grunt on tap at any time, in any gear, at any revs, so the Triumph Sprint GT SE accelerates hard without having to first go down through the gears. It's the perfect blend of sporty performance with real-world rideability to satisfy fast, all-day riding demands. The Triumph Sprint GT SE features ABS fitted as standard. Completely unnoticeable in normal riding conditions, the ABS modulator works behind the scenes making over 100 calculations per second to make sure it's there when you need it. 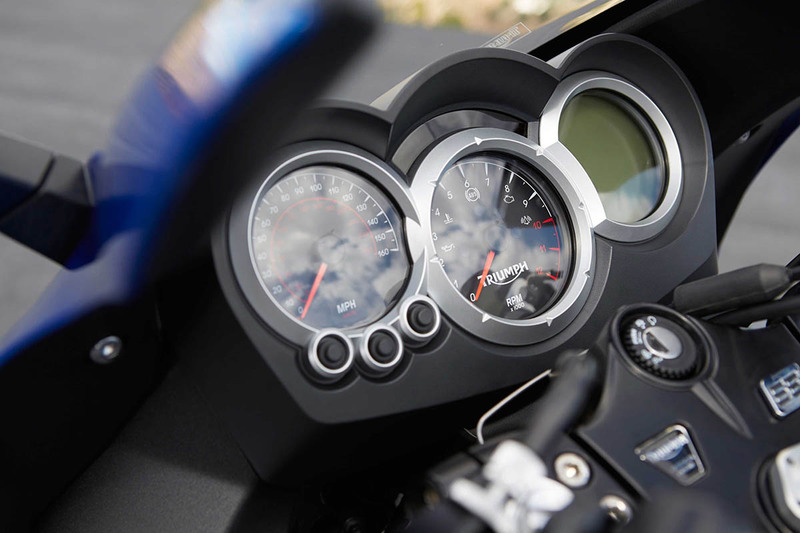 The Triumph Sprint GT SE's three-dial dash features a classy combination of analogue and digital readouts, with a LCD clock, fuel consumption, journey time, remaining tank range and average speed, while a clear traditional, needle-on-dial speedo and tacho gives speed and revs. 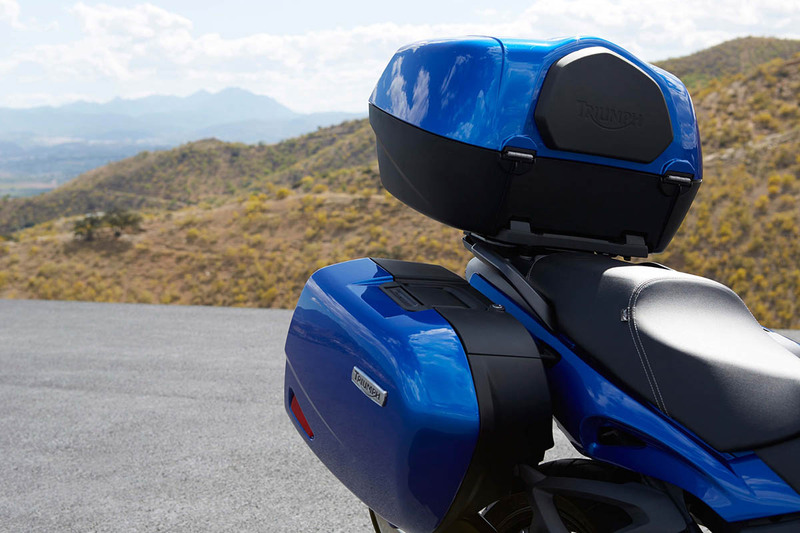 Bespoke for the Sprint GT SE, the large, colour-coded, 31 litre panniers have slim, integrated, dynamic styling. Each big enough to hold a helmet, the system, including a colour-coded top box, gives a huge capacity of 117 litres. There's also a built-in power socket to charge a phone or laptop while riding. The Triumph Sprint GT SE features a lightweight, twin spar aluminium frame for sporting capability. At the rear, a single-sided swingarm adds extra rigidity, but also suits the Triumph Sprint GT SE's touring role where eccentric chain adjusters make life easy. A centre stand is fitted as standard. 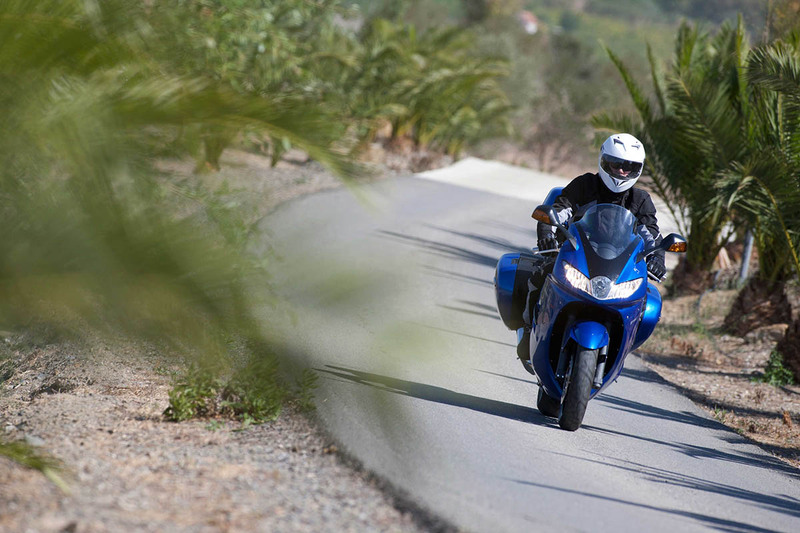 Suspension is critical in delivering a sporty ride in corners and a plush ride on straights. The Triumph Sprint GT SE uses 43mm Showa cartridge forks with adjustable preload, matched to a Showa monoshock rear with 152mm of travel and remote preload and rebound damping adjustability for a controlled, comfortable feedback at all times. 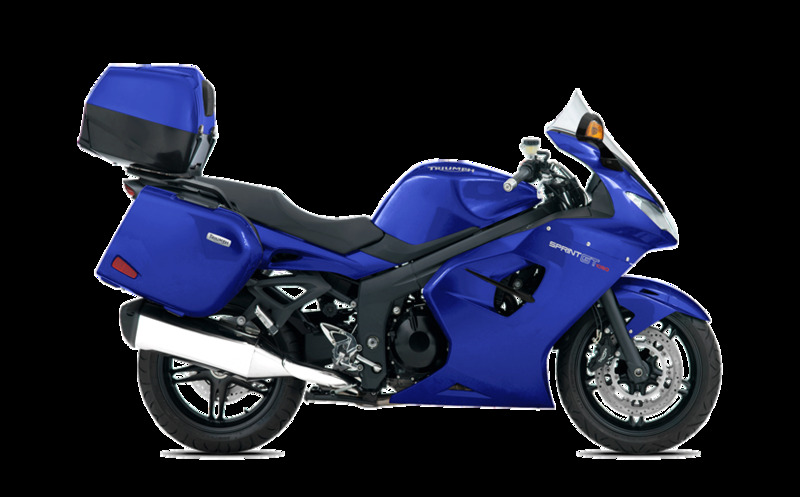 The Triumph Sprint GT SE's highly fuel-efficient inline triple, when combined with the capacity of a generous 20 litre tank, gives a full-to-reserve range of well over 200 miles at motorway cruising speeds. 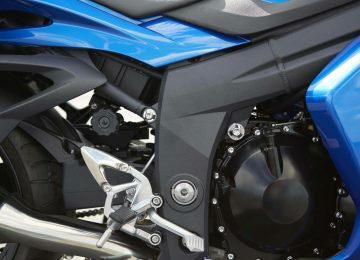 The Triumph Sprint GT SE's 4-piston Nissin calipers on 320mm discs at the front and rear 2-piston sliding caliper and 255mm disc generate a surplus of stopping power, optimised for dynamic performance and feedback for all situations, from sporty solo riding to full-on, two-up touring. The Triumph Sprint GT SE's seat height is a user-friendly 815mm. But it feels lower, tapering towards the tank and making both feet flat on the floor even easier. Deeply padded and carefully contoured, the seat is ergonomically optimised to provide perfect rider and pillion comfort. The Triumph Sprint GT SE's has the perfect bar-seat-footrest relationship for all riding styles, with enough forward lean for control yet upright and spacious for long distance comfort. Pillions get as much attention as the rider, with a natural and a comfortable seating position. 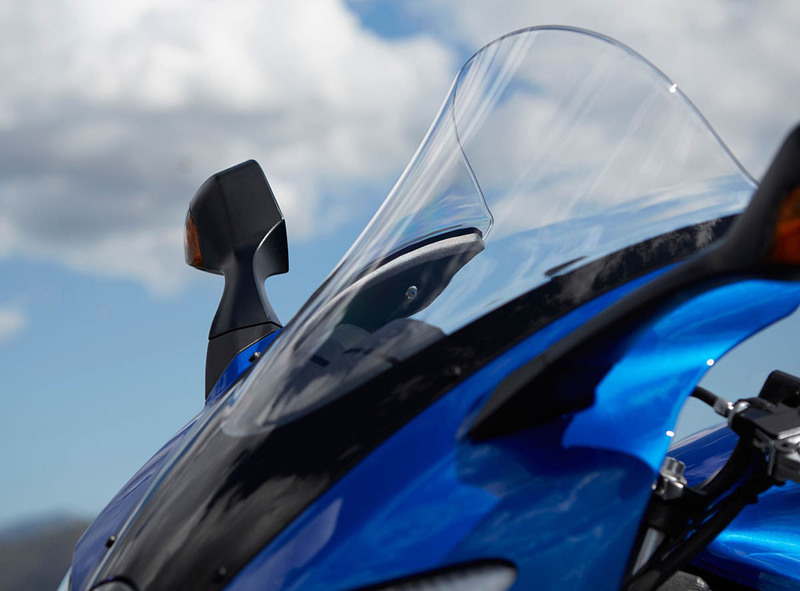 With a sleek, aerodynamic profile and instantly recognisable triple headlamp arrangement, the Triumph Sprint GT SE's signature fairing side vents also duct hot air away from the engine. Front indicators are moulded into the mirrors, and the rear indicators are also faired-in to reduce visual clutter. A single-sided swingarm adds Triumph's signature touch of class.